Welcome to Plumbers Finglas our new branch of emergency plumbers Dublin. If you need a large plumbing company with a great reputation to undertake any plumbing projects you may have, you’re at the right place as our Finglas plumbers can do it. We have been trading in Dublin for many, many years now and are known for our polite, professional approach and our high standard of workmanship. We have the knowledge and the know how to undertake any job, large or small. Some of our senior staff at plumbers Finglas have over 40 years experience in the plumbing industry. We make sure our reputation is kept in tact by only employing the best plumbers in Dublin. We thoroughly check all credentials including current health and safety certs, full qualifications and R.G.I. registration. This means our customers get the best quality workmanship possible. All our work is guaranteed and fully covered by our insurance. Help is always at hand with our emergency plumbers Finglas team. We are also specialists when it comes to our emergency plumbing services. We have plumbers on call 24/7 – 365 all across the county including Finglas. One of our senior plumbers will always answer the phone. If at all possible they will try to help with advice to alleviate the problem. We then dispatch a local member of our team to your home or business. They will be with you in under an hour. Unlike some of our competitors our Finglas plumbers use a “Fair Pricing” policy. We don’t ramp up costs by slipping in hidden fees. Some companies look to charge for call outs, parking fees, traveling time or they expect you to pay for their time when they have to get parts. We don’t! We offer a very competitive quote, provide exceptional workmanship and only ask for payment on completion. Then only when the client is 100% satisfied. This is why we have so many repeat customers. All of our work is covered by our 1 year standard “plumber Finglas” warranty and for your extra peace of mind we are comprehensively insured to the sum of €13.5 million. Plumbers Finglas cover the following area also. 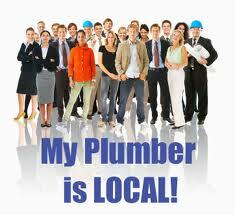 If you require a local plumber in Finglas, whether it’s an emergency, a regular job or a quote. Call today on 01-6874850.